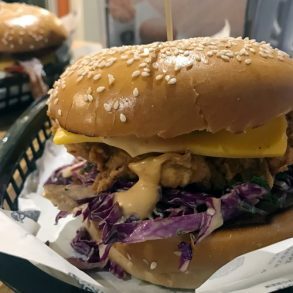 Uncle Tetsu Sydney: Souffle? Spongecake? 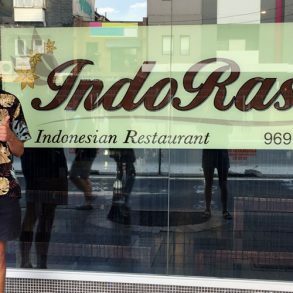 It has been a while since a food place has gained so much hype on George Street. We are lucky that the streets are shut for the light rail construction otherwise many people would have got hit by traffic. 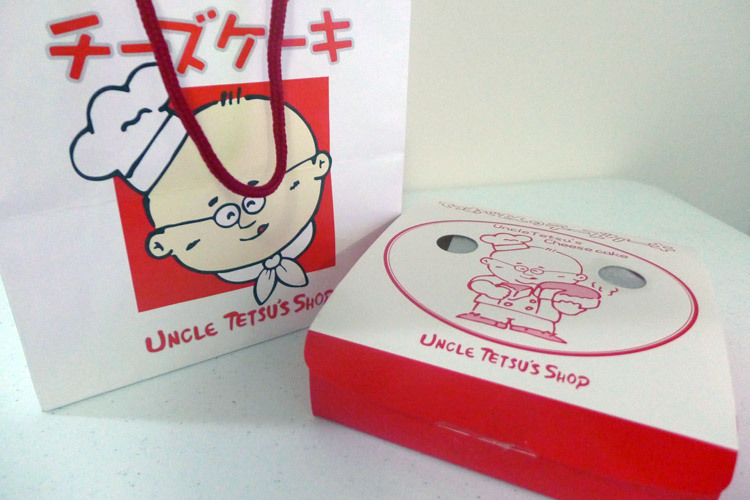 Uncle Tetsu offers two cakes: “cheesecakes” and madeleines. 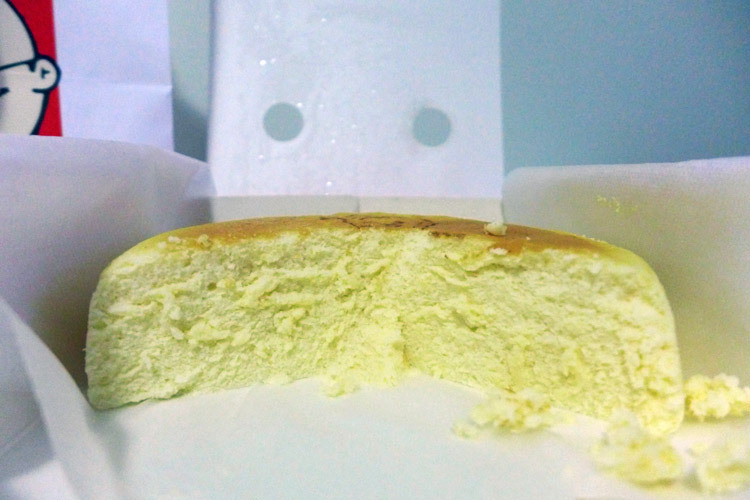 Japanese cheesecakes are more aerated compared to the western style which is more well-known here in Australia. There is a limit of 1 cheesecake ($18) and 4 madeleines ($15) per person. However you do have to buy madeleines in sets of 4. 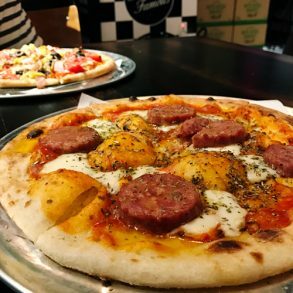 Most people are recommending eating it hot as the best way to enjoy it. 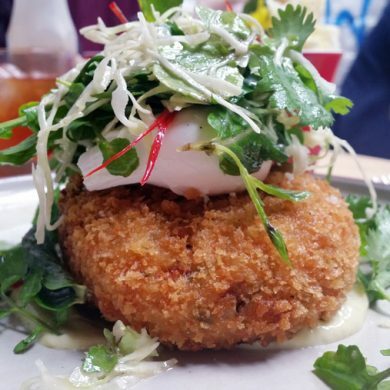 Those who have described it as having a more eggy-taste rather than cheese and less dense before it set. The packaging/size just does not allow for that at this store. My tasting was done after 2 hours of refrigeration. First impression: damn it’s ugly, it does not look appetising at all. It is more curiosity that pushed me to try this cake. On the first bite, with the expectation of traditional cheesecake in mind, my taste-buds were a little confused for half a second. The texture is the first thing that threw me off and next; I was trying to decide whether to like it or not. The flavour of the cake is very subtle: it tasted like spongecake with a hint of cheese. It is mostly bland and for a dessert, it does not have that moreish nor decadent factor I look for. However, this might be an ideal dessert for people who are not a fan of rich and sweet cakes (i.e. Asian palettes which are 90% of the queue). 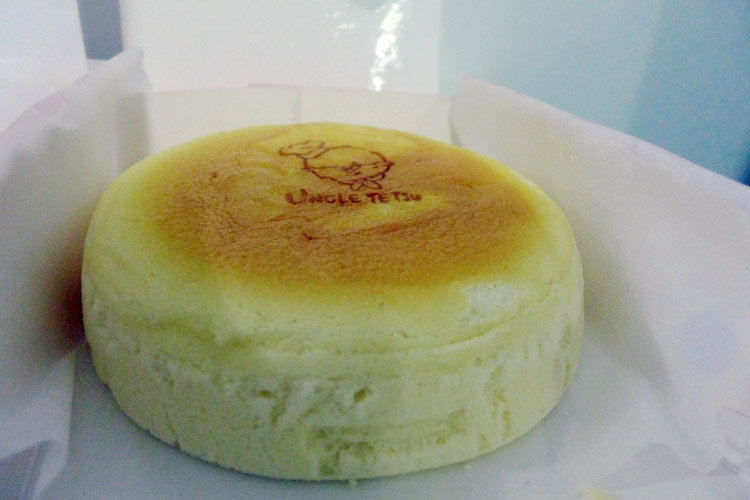 At the end of the day, Uncle Tetsu’s cheesecake was soft and fluffy (or aerated) and made from Australian cream cheese as advertised. In simple terms, it another either you love it or hate it kind of cake. I found it overpriced and would only pay $10 max. 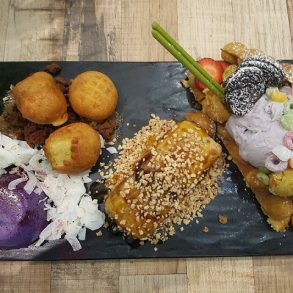 To be honest, there are hundreds of desserts I would have instead including a Magnum ice-cream. Uncle Tetsu will eventually expand its offering by adding different flavours of cheesecakes but I won’t be giving it another go.